If you are having problems viewing this email click here. Sunday November 15 2009 @ Massey Hall 7:30pm. Click here for tickets. Friday November 13 2009 @ Lula Lounge 10:00pm. Click here for event details. 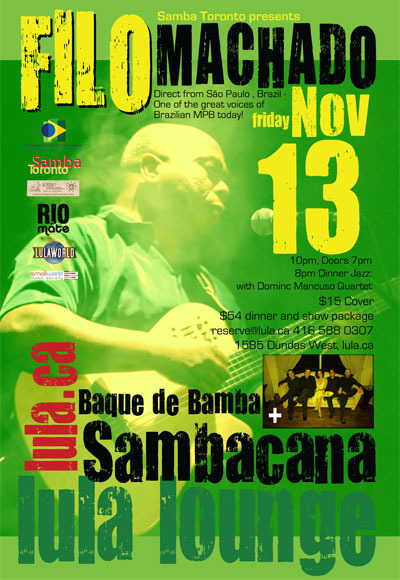 Escola de Samba de Toronto is pleased you're on our newsletter list. You are subscribed as [EMAIL]. To review or update your contact/email information please [PREFERENCES]. Click [FORWARD] to forward to a friend.